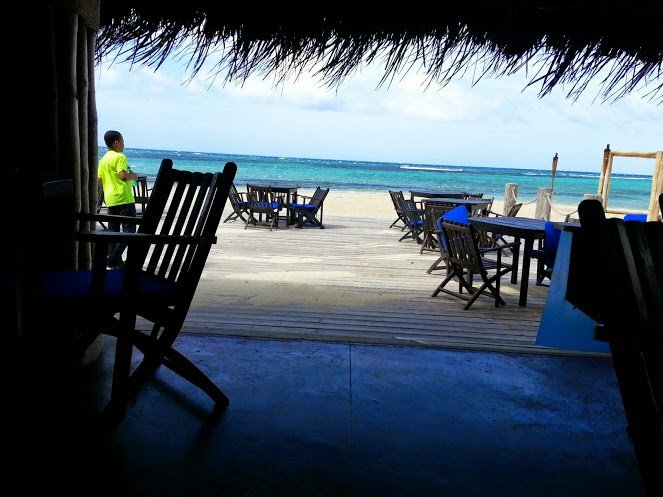 Bamboo Blu Jamaica is a restaurant situated on a pristine white sand beach near Ocho Rios in St. Ann. It is a private property so you will be expected to patronize the restaurant there instead of bringing your own food. 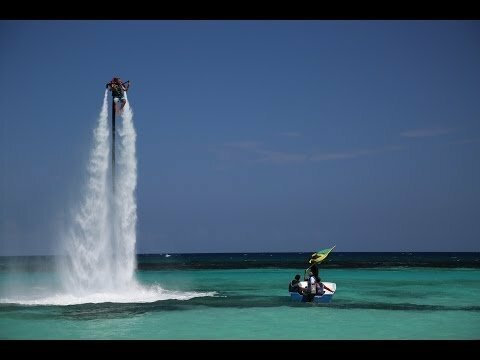 The beach is gorgeous and the properties offers a few activities that makes this stop a worthwhile one in St. Ann. 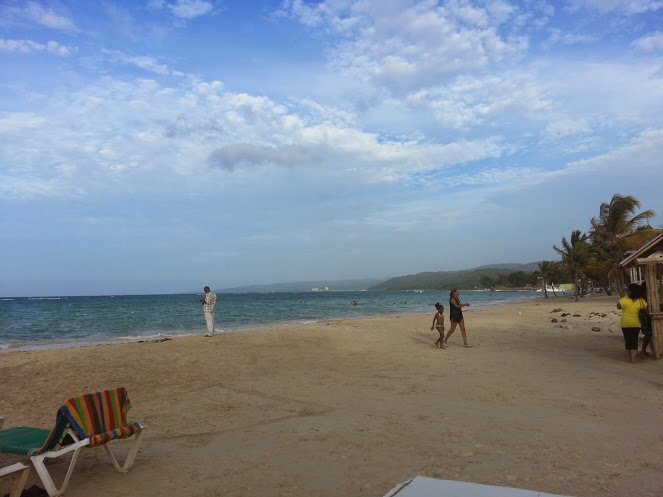 Bamboo Blu beach is located right on the beach next to the Ocho Rios hotel Riu and within the confines of Mammee Bay Estate. You’ll need to make a reservation to gain access to the property but there’s no hassle to get in, set up your stuff and relax. And the beach is gorgeous. 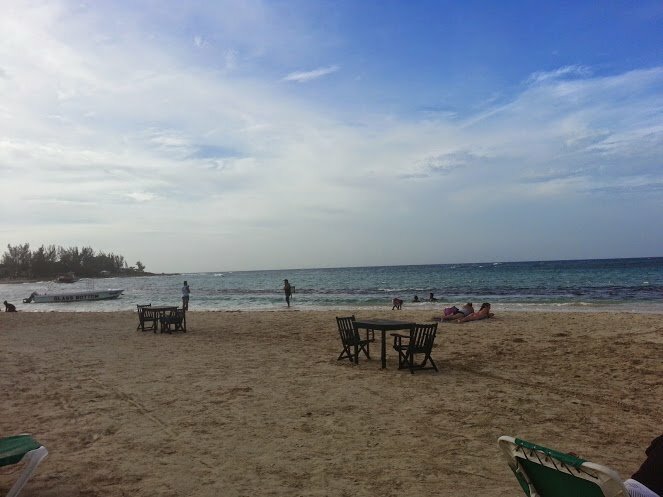 The beach club restaurant is open air with a relaxing vibe and an awesome view of Ocho Rios beach. The décor added the right amount of sophisticated island vibe without being cheesy. The menu is quite standard for Ocho Rios restaurants, a mix of American and Jamaican casual dining offerings. 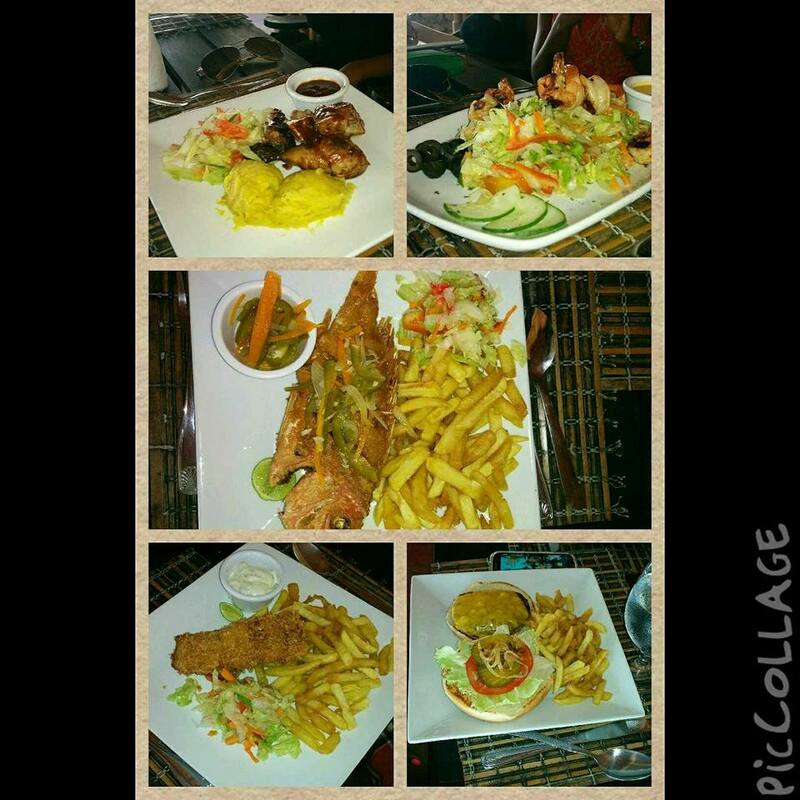 Think burgers, wings, pasta, fish and chips, jerk chicken, seafood done to order. The tourist prices reminded me however that this part of Jamaica wasn’t for me (aka average joe.) One burger for $US13 plus tax and 10% service charge (2014 prices) took me way out of my comfort zone. Imagine if I had a few cocktails? The fact that the burger was pretty bland and done for a palate that’s used to fewer spices than the average Jamaican didn’t help ease my woes. I tasted the fish and chips, the dish I would have ordered if it wasn’t $17 and I was so happy I didn’t spring for it as it too was quite bland. No salt and pepper guys? To be fair, those who had more Jamaican meals like the jerk chicken and the whole fish said their meal was lovely. After our meal, we went to relax on one of the daybed gazebos strewn about the place. I was hoping to catch some of this action but was out of luck that day. Isn’t that awesome? I’d probably lose my lunch. The breeze was incredibly strong that day and sand was whipping everywhere. The group playing volleyball on the sand behind the restaurant didn’t seem to mind. They were playing all day long! It was a lovely day out and yes, I would visit Bamboo Blu again and again. 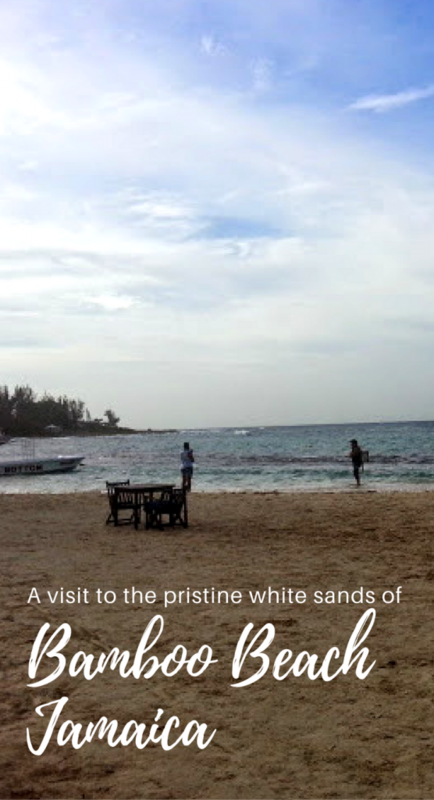 The beach was sprawling and lovely and the staff and amenities pleasant. I like a beach where there’s enough shallow waters to play with munchkin without feeling like a wave is gonna come knock us down at any second. I would however pack at least my own drinks. 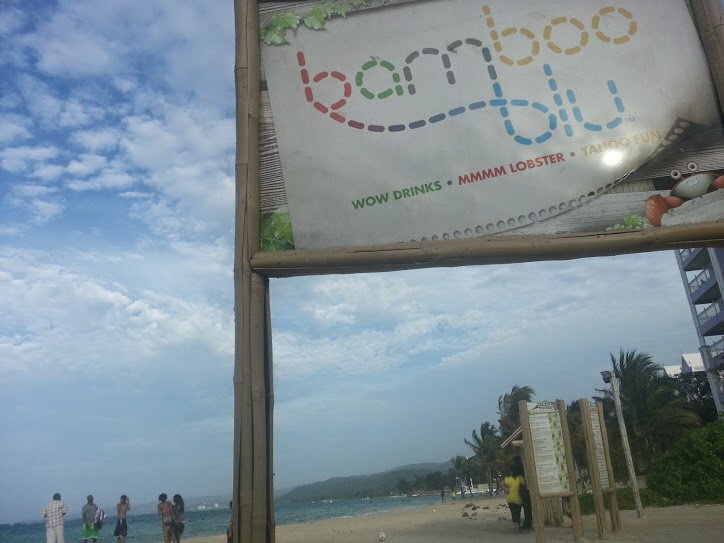 Have you ever been to Bamboo Blu?